Armenia is known as an ancient country with beautiful mountains, tasty food, Ararat brandy and many other things. But today Armenia also has a booming IT industry. Armenian companies achieved success in Armenia, as well as in the rest of the world.The turnover of the IT sector in 2016 approximately represented $500 million, 6% of the Armenian GDP. More than 540 companies were registered the same year. We would like to present to you the Top 10 Armenian start-ups according to the Armenian Global Community. Please note, although it is a subjective selection, we tried to stay as objective as possible while making it. Allocating a position was not easy at all, because it is hard to compare a taxi request service with a start-up dealing with augmented and virtual reality. Yecup – is a start-up that produces a “smart mug”, which can reheat or cool down a drink by using a mobile app. The start-up used the crowdfunding platform Indiegogo in order to present its project to a large audience and crowdfund for its creation. Initially the founders expected to raise $45 000, but the project was so popular, that the total amount raised reached $396 480, 892% of their goal. The project was supported by 12,675 people from 128 countries. At the time of writing our Top 10, 2478 “smart mugs” are sold. The current price per unit is $159. Arloopa is an Armenian project working on augmented and virtual reality, 2D and 3D content. 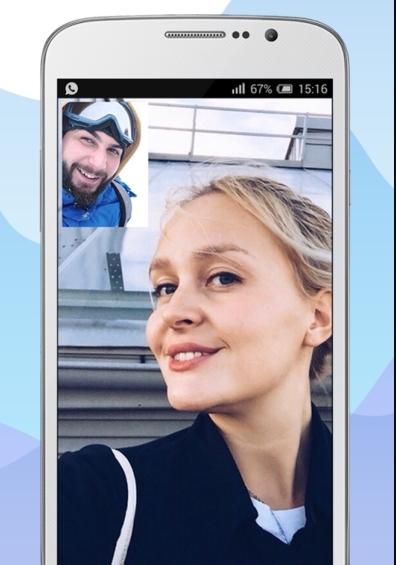 Zangi is an Armenian messenger, in which you can exchange text messages, make voice and video calls. Vahram Martirosian, the founder, had already explained in detail about Zangi. It may be noted that Zangi is regularly improved and the communication quality as well as the functionalities significantly got better. 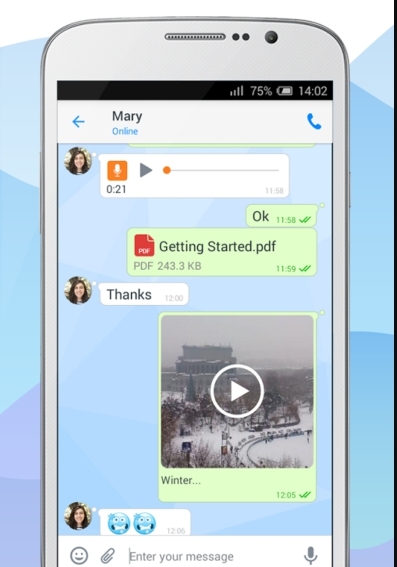 We hope, that Zangi will become a serious competitor for Viber, WhatsApp and other popular messengers. 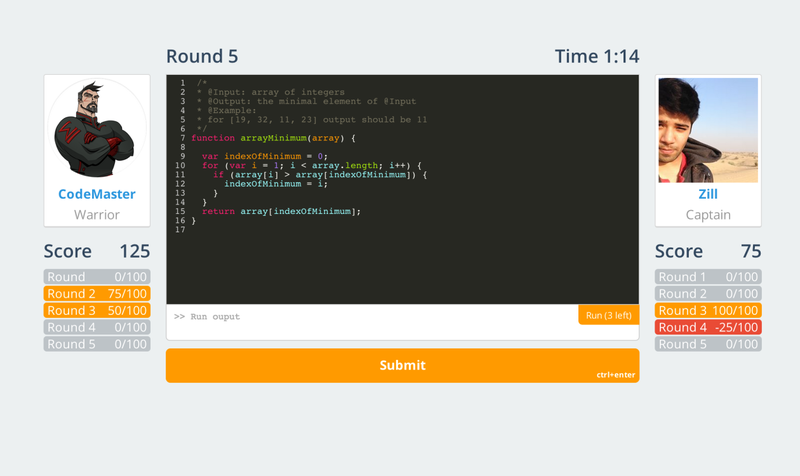 SoloLearn makes learning programming languages fun. The user has to achieve level after level, like in a game. He gets points, as well as the knowledge in programming. The founders ensure that learning with their app is more efficient than following programming courses in a university. Moreover you are offered 90 lessons and 400 exercises for the C++ programming language. The project has rapidly grown since the year of its release in 2014. In 2015, SoloLearn was included in the top 10 of the fastest-developing start-ups in Silicon Valley with approximate $10 million investment. Before, the start-up got to the list of the top Android applications in India in 2015. The tight competition in the programming learning sector didn’t prevent SoloLearn from achieving success within a short period of time and becoming one of the world leaders of the niche market. Codefights has attracted big companies, such as Uber. In fact, by solving programming problems given by Uber, you can even get invited for a job interview. If the company finds an employee thanks to Codefights, it has to pay 15% of the recruited employee’s annual wage. In April 2015, the start-up raised $2.4 million for future development. In November 2016, the founder of Codefights, Tigran Sloyan, said that the start-up got additional $10 million investment for the future extension of the project. ggtaxi is a taxi request service that gained significant popularity in Armenia. 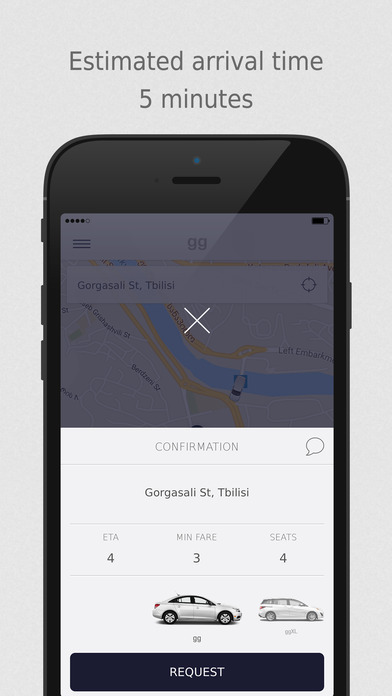 In order to request a taxi, you only need to have a smartphone with an installed ggtaxi app. It works directly with the drivers without having its own vehicle fleet, similar to the world renowned Uber. After achieving success in Armenia, ggtaxi was launched in Georgia and now is planning to expand to Iran. It is the successful development of ggtaxi that most probably permitted Yandex.Taxi to enter the Armenian market. According to one of the founders of ggtaxi, Khatchatur Grigorian, Yandex wanted to buy the project for $4 million, but Grigorian estimates its value for $5 million. Teamable is a project that helps you find the best specialists in the labor market. It helps companies finding cadres, without losing time on interviews. The Teamable platform has already partnered with leading international companies, such as Uber, Yahoo!, Oracle and Intuit. Although the project has mainly targeted the US market, it plans to expand to other markets. The developers also plan to launch a mobile app that will facilitate the recruiting process for the companies. The app was highly rated by Apple and other companies. In 2015, it was recognized as the best app in AppStore and won several awards, including the Apple Design Award WWDC 2015. Separately worth noting is that the app has an excellent soundtrack. Triada Studio, the company, which developed the game, has been working with computer graphics and animation for 20 years. Menu.am is a food delivery service. Thanks to Menu.am, your order will be delivered to yourat home from any restaurant or cafeteria available in the system. It doesn’t matter whether the restaurant/cafeteria has its own delivery service. Your order will be processed at Menu.am, they will pick up your meal directly from the restaurant and deliver it to your place. The most interesting feature is that thanks to Menu.am, you can order your food simultaneously from several places, and it will be delivered to you in one single order by the delivery guy. The price in the restaurants and on Menu.am is the same. After it was successfully launched and developed in Armenia, the project was launched in Georgia with Menu.ge. But its development didn’t stop there and after a while the project was launched on the Belarusian market with Menu.by. At the time we were writing our article, the total number of restaurants in these 3 countries is 871. Iran will most probably be the next country for the extension of their service. PicsArt — is a photo editing app directly competing with Instagram (in 2013, we translated an article about it). For now, Pics Art has more than 350 million downloads and more than 85 million users per month. Forbes estimated that Pics Art is among the top 50 most attractive companies for investors. At the time, it was estimated at $250 million with 250 million downloads. Given the fact that today the number of downloads reached more than 350 million, the value should have increased as well. 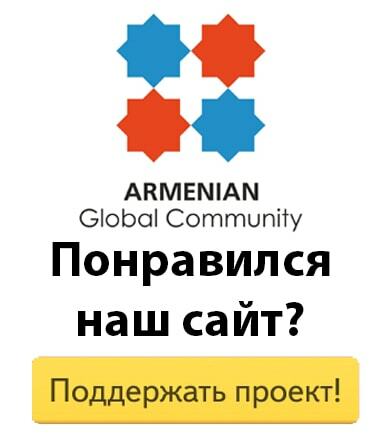 The app has been developed in Armenia since 2011. We would like to thank Samvel Martirosian for his assistance in writing the post.